Double trouble at ENDURrace 2019! Thanks everyone for a great evening in Elmira! These famously flat courses are the perfect environment for a fun and fast spring race, so… why not two? Stay tuned for thousands of free photos are currently being posted to our Flickr site. Look now, and check back in the coming days! Huge thanks to the KWTFC and all the volunteers for making runners feel great from start to finish! Also credit goes to mother nature today for a spectator-friendly (if windy) evening. 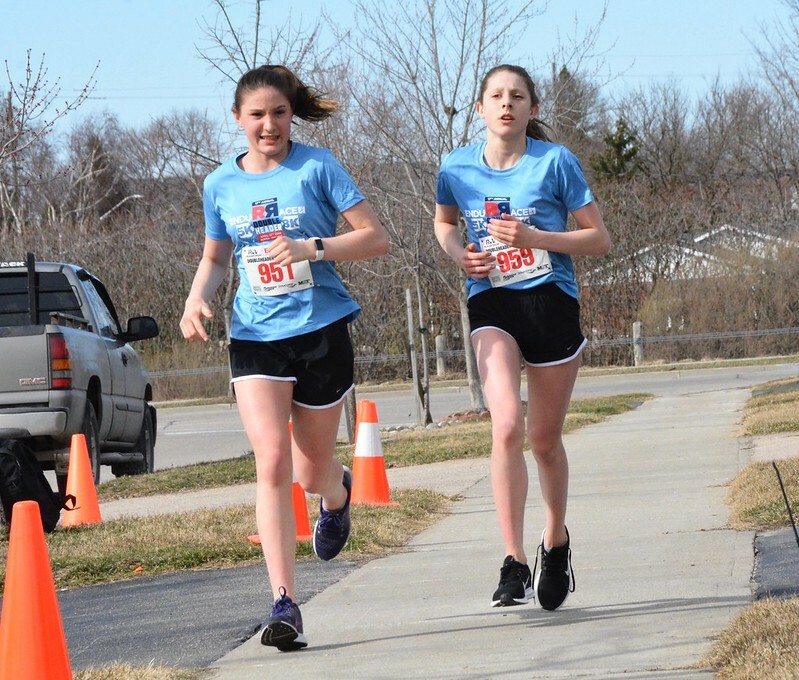 Huge congrats to our Let’s start running, Elmira! group for working hard since the middle of February to be ready to tackle this 5k! This event has changed a lot over the years: from Sunday mornings to Saturday evenings, from Waterloo to Cambridge to Elmira, from August to April, but most significantly from consecutive weeks to a doubleheader. We were forced into it in 2018 by a freak weather event, and the feedback was only positive. We embraced the doubleheader concept this year and ended with the largest field in the 5+8 since 2013! Among the four winners, Robyn set an all-time masters female record, besting her own time from last year by 18 seconds! Other historical placings: Rob (5th), Laura (2nd), and Jason (3rd). Of all of these, only the overall male record was run on a doubleheader, the rest were all on back-to-back weeks. Some other notable stats: Laura’s 5k time is the fastest in ENDURrace history, and the Wepplers set a new Spouse team record. If you don’t know what this is, take a second to check out our members-only Boost competition. It’s fun and friendly, it keeps things interesting all year long, and best of all: it has some great prizing! Take a look at the RW Membership today. Our next race is Run4Another. The next Boost opportunity is in Baden. But don’t forget about Waterloo 10 KM Classic – did you see the 2019 sublimated t-shirt design?